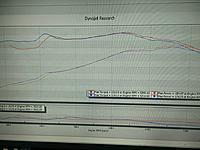 Hi Dear fellow Skiers, I had the CNC Speedshop 2.4 liter stroker kit installed in my S2000 about 750 miles ago but the dyno now shows it is actually making LESS power than my engine was making before the stroker kit. Is something drastically wrong with my engine? I would greatly appreciate your suggestions. I am attaching my new dyno graph. 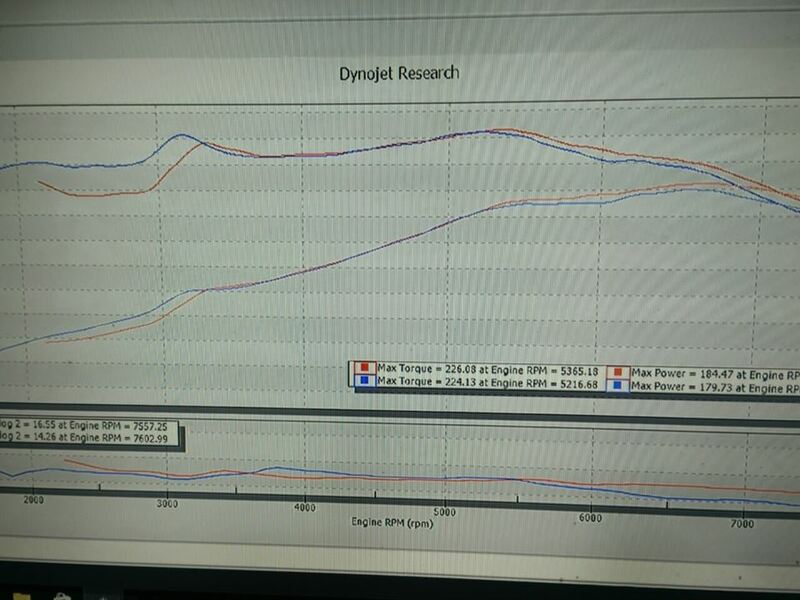 It shows that with the stroker kit the engine is making max torque of 226 nm @ 5365 rpm (166.7 ft lb) and only 184.47 whp @ about 6500 rpm. Basically the engine is losing a lot of power in the top end. Before the stroker kit this engine was making 210 whp @ about 8100 rpm and about 215 nm. I will greatly appreciate your suggestions into what might be causing all this. Last edited by eMotion; 11-01-2016 at 06:14 PM. i would do a compression and leak down test. Most likely the engine was not assembled well and thus there is probably a lot of blow by and the compression maybe low or there might be an abnormal amount of leakdown. ​​​​​​i wouldn't catastrophize just yet tho. What diameter intake are you using? I am using a Ballade Sports big bore throtle body 70 mm and correspondingly the standart size intake had been bored to 70 mm to fit that. The interesting thing is that my car is not making any strange noises that will signal a Red flag and has been tuning good so far. Other than that I have a standered slightly milled head and OEM camshafts. I use Acura rdx 410 cc injectors. Any smoke at wot? And or are u running a cat? Ex. Size? Last edited by MorngWoodStewie; 11-02-2016 at 03:34 AM. Your cam timing events might not be optimal since your head is milled are you running adj. Gears? I am not running adj. Gears. There is no smoke at WOT and I have an invidia test pipe instead of a cat. I have aftetmarket exhaust but I am not sure if it is 63 mm or more. I am also using standart jdm spec pistons and they are 11.7:1 instead of the normal 11.1:1.